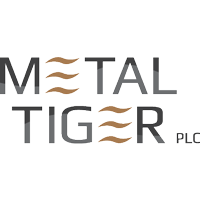 Stock in Metal Tiger PLC EPIC code: LON:MTR has stepped up 4.15% or 0.05 points during the course of today’s session so far. Market buyers have remained optimistic during the session. The period high was 1.39 dipping to 1.3. Volume total for shares traded during this period was 1,110,755 with the average number of shares traded daily being 5,083,045. The stock 52 week high is 3.44 equating to 2.11 points different to the previous business close and a 52 week low sitting at 1.08 which is a variance of 0.25 points. Market capitalisation for the company is £18.56m at the time of this report. The share price is in GBX. Mcap is measured in GBP. This article was written with the last trade for Metal Tiger PLC being recorded at Tuesday, February 5, 2019 at 11:15:05 AM GMT with the stock price trading at 1.38 GBX. The trading price for Micro Focus International plc ticker code: LON:MCRO has gained 1.77% or 26.49 points throughout today’s trading session so far. Investors have remained positive throughout the session. The periods high has reached 1524.5 meanwhile the session low reached 1496.42. The total volume of shares exchanged through this period comes to 609,327 while the average shares exchanged is 1,239,596. The 52 week high for the share price is 2127 equating to 634.5 points in difference to the previous days close of business and a 52 week low sitting at 782.2 is a variance of 710.3 points. Market capitalisation for the company is £6,306.52m at the time of this report. All share prices mentioned for this stock are traded in GBX. Mcap is measured in GBP. This article was written with the last trade for Micro Focus International plc being recorded at Tuesday, February 5, 2019 at 12:02:33 PM GMT with the stock price trading at 1518.99 GBX. The trading price for MONDI/PAR VTG FPD 0.2 with company EPIC: LON:MNDI has gained 1.16% or 21.5 points in today’s trading session so far. Investors have so far held a positive outlook during this period. The high for the period has reached 1883.5 dipping to 1854.5. The number of shares traded by this point in time totalled 229,524 whilst the average number of shares exchanged is 1,707,758. The 52 week high is 2250 around 389.5 points difference from the previous close and the 52 week low at 1557.5 making a difference of 303 points. Market capitalisation is now £9,191.47m at the time of this report. The share price is in Great British pence. Mcap is measured in GBP. This article was written with the last trade for MONDI/PAR VTG FPD 0.2 being recorded at Tuesday, February 5, 2019 at 12:02:57 PM GMT with the stock price trading at 1882 GBX. Shares of NEXT plc ticker code: LON:NXT has moved up 1.64% or 79 points during the course of today’s session so far. Investors have remained optimistic throughout the session. The period high was 4910 meanwhile the session low reached 4821. The amount of shares exchanged has so far reached 176,553 while the average shares exchanged is 741,855. A 52 week share price high is 6224 equating to 1394 points difference from the previous close and the 52 week low at 3970 which is a difference of 860 points. Market capitalisation for the company is £6,776.51m at the time of this report. The stock is traded in GBX. Mcap is measured in GBP. This article was written with the last trade for NEXT plc being recorded at Tuesday, February 5, 2019 at 12:02:07 PM GMT with the stock price trading at 4909 GBX. Shares of NMC Health PLC with EPIC code: LON:NMC has gained 2.94% or 74.67 points during today’s session so far. Market buyers have remained optimistic throughout the session. The periods high figure was 2613.11 meanwhile the session low reached 2530. The volume total for shares traded up to this point was 247,278 with the average number of shares traded daily being 815,109. A 52 week high for the stock is 4376 amounting to 1838 points difference from the previous days close and putting the 52 week low at 2508 making a difference of 30 points. Market capitalisation for the company is £5,439.85m at the time of this report. The currency for this stock is Great British pence.Market cap is measured in GBP. This article was written with the last trade for NMC Health PLC being recorded at Tuesday, February 5, 2019 at 12:02:29 PM GMT with the stock price trading at 2612.67 GBX. The share price for Paddy Power Betfair PLC with ticker code: LON:PPB has climbed 1.25% or 80 points during today’s session so far. Buyers have remained optimistic during the trading session. The periods high has reached 6510 dipping to 6380. The total volume of shares exchanged so far has reached 83,614 with the average number of shares traded daily being 315,605. The stock 52 week high is 9184.9 around 2764.9 points difference from the previous days close and the 52 week low at 6000 making a difference of 420 points. This puts the market cap at £5,103.89m at the time of this report. All share prices mentioned for this stock are traded in GBX. Mcap is measured in GBP. This article was written with the last trade for Paddy Power Betfair PLC being recorded at Tuesday, February 5, 2019 at 12:02:01 PM GMT with the stock price trading at 6500 GBX. Click MCRO MNDI MTR NMC NXT PPB for the full archive.